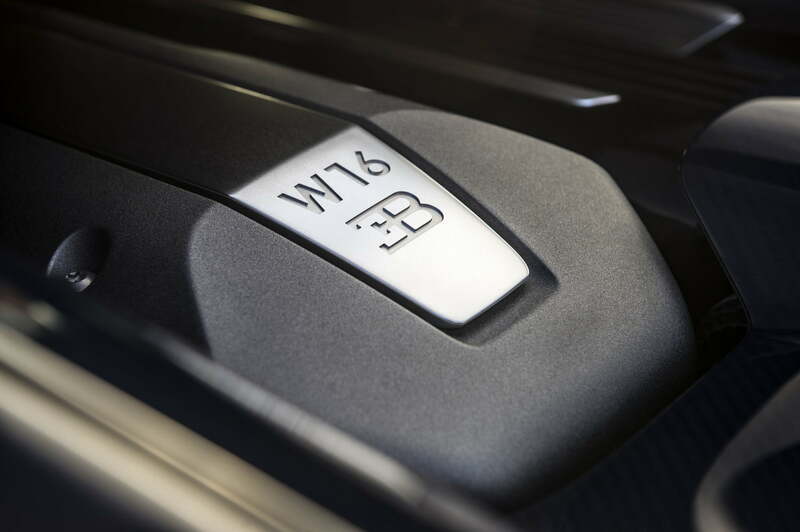 The Bugatti Chiron redefines our perception of a sports car. Can you even critique its price? 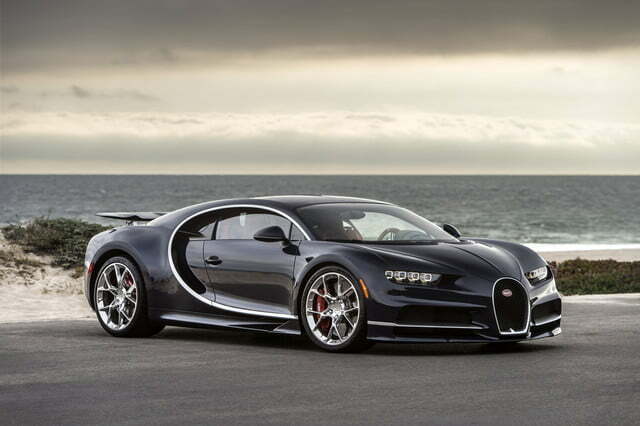 Bugatti Automobiles has existed in one form or another for over a century. The company’s heritage includes some of the most dominant motorsports vehicles and the most ornate road cars of the 1900s. 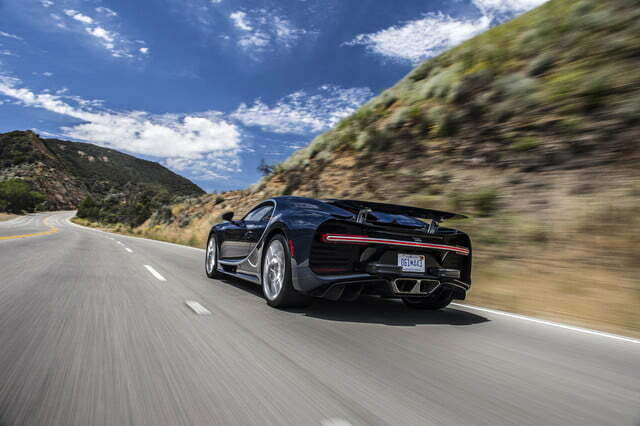 Despite its illustrious past, no one anticipated the impact of a new Bugatti supercar in 2005. The 2005 Veyron (one of the most expensive cars in the world) didn’t have competitive targets; it didn’t adhere to budgetary constraints; it was built with the sole purpose of shattering the road car ceiling. In a breath, the Veyron far exceeded the McLaren F1’s 240.1-mph top speed (a record that had stood for seven years, also making it one of the fastest cars in the world), leapt hundreds of horsepower beyond modern-day outputs, dropped 0 to 60 mph acceleration well below 3.0 seconds, and demanded an unheard-of starting price of $1.48 million. 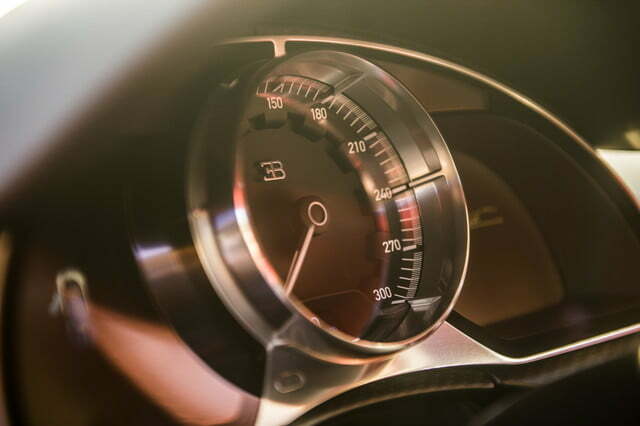 It’s taken the automotive world more than a decade to catch its collective breath, and now that Ferrari, Porsche, McLaren, Koenigsegg, and other high-end manufacturers have rallied, Bugatti is back to break up the party. 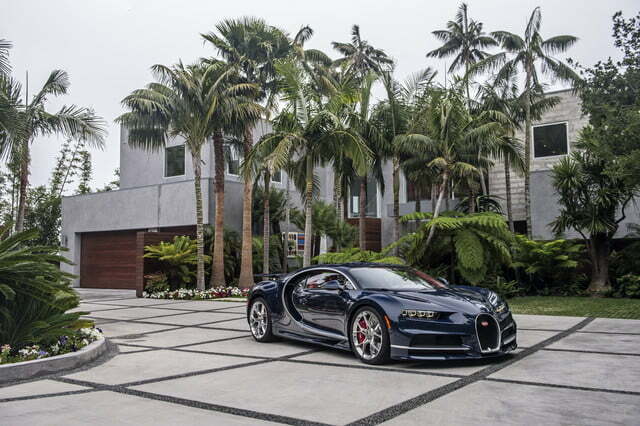 World: meet the bewildering Bugatti Chiron. It’s a car so high-class that it has a matching yacht. 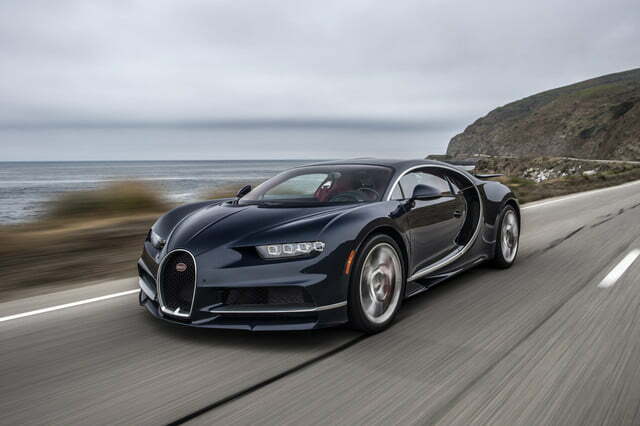 The Chiron is an opportunity for Bugatti to revisit the Veyron’s limitations, namely its handling and design. While the Veyron smoothed some of its rougher edges over its 10-year, 450-car production run, there were only so many tweaks that could be made to the original platform. 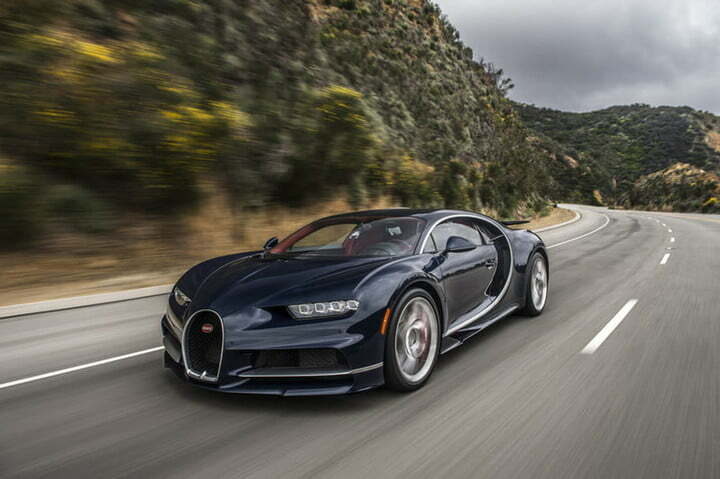 Indeed, the Chiron makes gobs more power than even the hottest Veyron, but the most critical changes are to its driving dynamics and curb appeal. In addition to a bottom-up engine rebuild, the Chiron has new wheels, tires, brakes, aerodynamics, steering mechanics, and transmission components. These mechanical upgrades complement a striking new exterior and interior design. 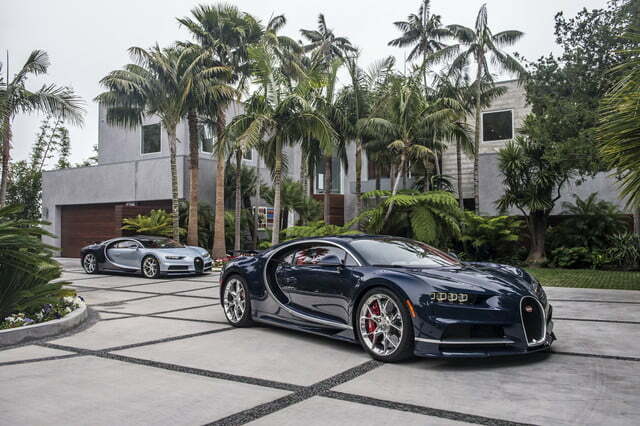 It’s safe to say the Chiron isn’t stepping on the toes of Veyron owners. The Chiron transcends ordinary appeal; never have we experienced a vehicle with such binding presence. 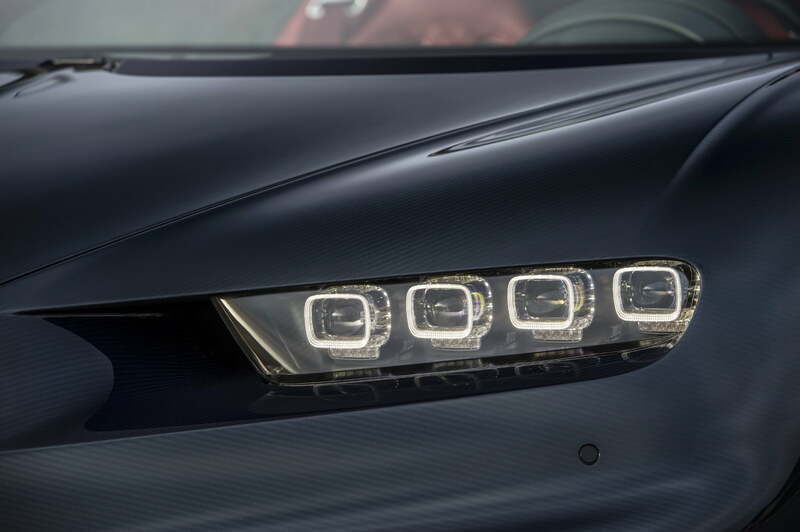 At the front, eight-eye LED headlights with integrated air inlets ignite as you approach the car. Below them, split-level air dams cool the front brakes and apply much-needed downforce. 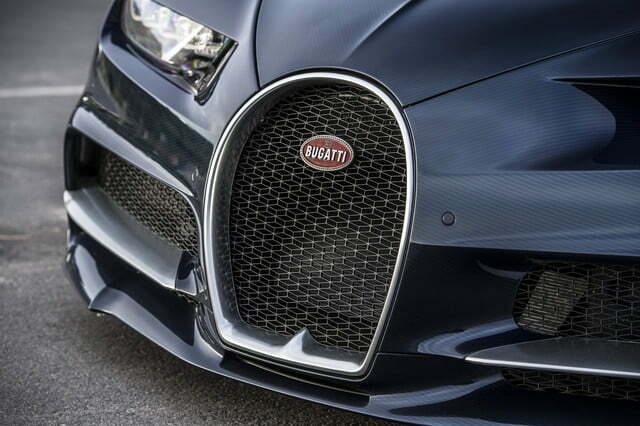 Bugatti’s horseshoe grille begins a defined centerline that carries over the engine compartment to the rear, bringing to mind the Type 57SC Atlantic of the late 1930s. In profile, the artful C-shape – a nod to Ettore Bugatti’s extravagant signature – separates an available duo-tone exterior and channels air into the mid-mounted engine. 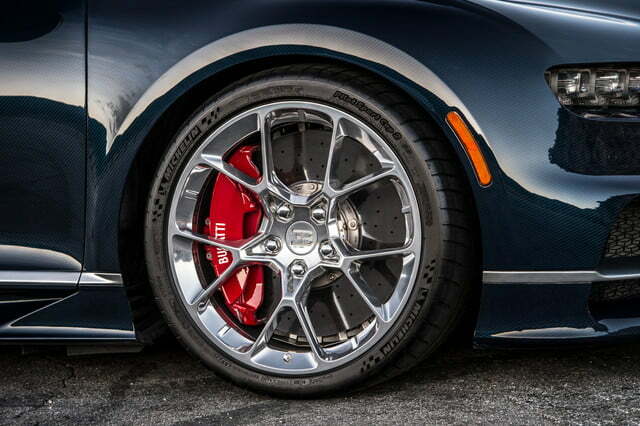 Restyled 20-inch front and 21-inch rear wheels sit snugly within the Chiron’s pronounced fenders. In motion, the Chiron’s cutaway rear end creates a negative pressure zone to extract heat from the engine. At rest, the hollow rump frames a piercing single-beam LED taillight set within a single piece of milled aluminum. Advanced technology may be restricted within the cockpit, but it is fully manifested for the sake of performance. Complementing a flat underbody is a pair of active flaps in front, which open to add downforce and seal to reduce drag. 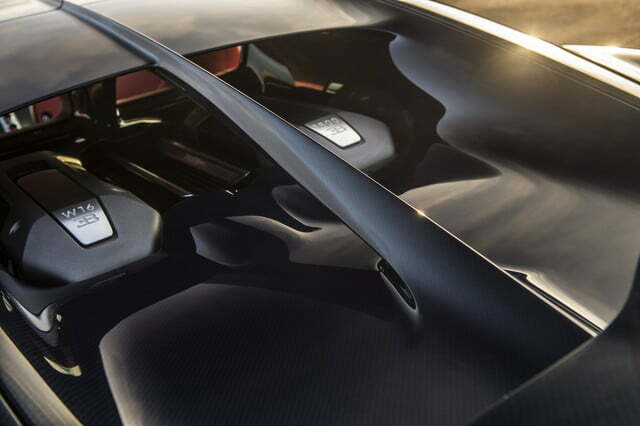 At the back, a large adjustable wing automatically raises and tilts to stabilize the rear. No fewer than 50 ECUs (engine control units) collaborate for daily driving functionality. And just so you understand how impressive that is, normally a car has one ECU that calculates and maintains its performance. 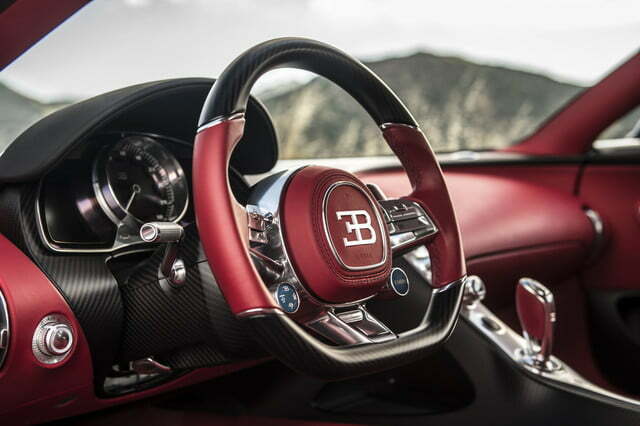 Clearly, Bugatti’s latest has brains to match its beauty. In other words, if something looks like metal, it’s metal. 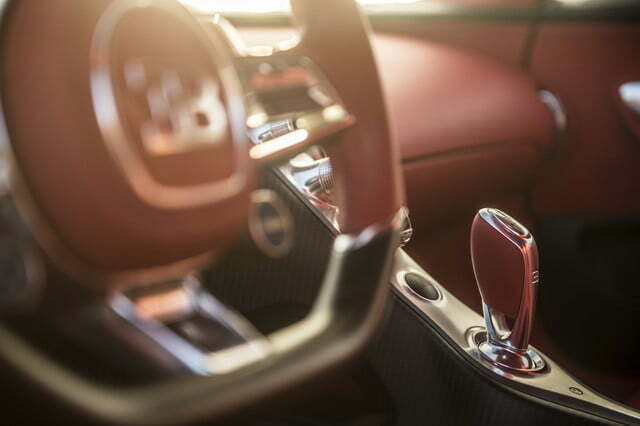 Tactile dupery is commonplace in the automotive world, yet Bugatti honors every impression of quality – even at the expense of added weight. An illuminated C-shape mold splits the elegant, symmetrical cabin. Symmetry is not to be confused with equality, however – the Chiron is unapologetically driver-oriented. Apart from four centralized digital monitors that sprout from within a single piece of aluminum, passenger entertainment is exclusively a product of the driver’s right foot. There are worse things. 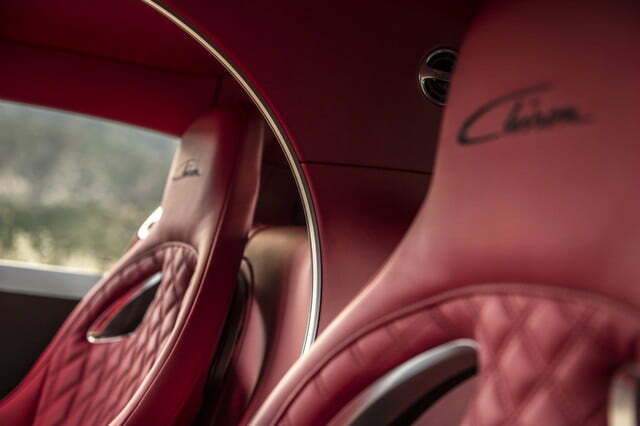 Given Bugatti’s goal of daily driving comfort, it follows that headroom, legroom, and visibility are generous. 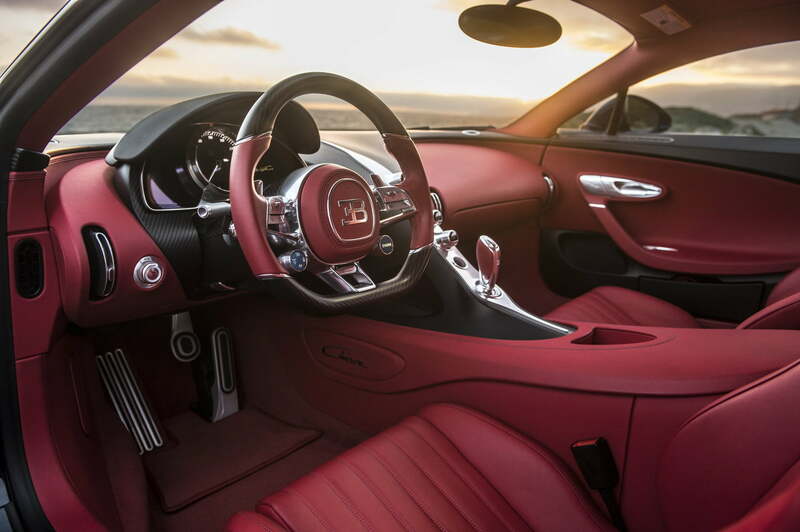 Further, the quilted leather seats are both ergonomic and supportive, if a tad light on padding. Double-pane glass windows refuse passage for any ambient noise. In truth, the carry-on bag-sized trunk may be limiting, but the Chiron is otherwise supremely accommodating. It’s pointless to approach the Bugatti Chiron with a personal definition of fast. That one time when you hit 130 mph on the highway and “thought you were gonna die,” or when you sat shotgun in your friend’s M3 as he blasted along a canyon road – these sensations are like hopping off a three-foot ledge. Driving the Chiron is like base-jumping with holes in your suit (and drastically more repeatable). First, some numbers: 8.0-liters of displacement, 16 cylinders arranged in a W configuration, four twin-stage turbochargers (each 60 percent larger than those in the Veyron), 1,500 horsepower, 1,180 pound-feet of torque, four driven wheels, 0 to 60 mph in 2.3 seconds, an electronically limited top speed of 261 mph. These figures may not blow minds in the same way the Veyron’s did all those years ago, but strange as it is to say, the Chiron isn’t a numbers car. It’s a massive, invisible hand that loads the Chiron into a sling, pulls back the tab, and fires 4,400 pounds into the horizon. Bugatti will tell you its first coupling of turbochargers has been spooling for such an occasion, offering maximum torque at just 2,000 rpm. But that’s only the mechanical explanation for the game of musical chairs our organs were playing while driving. 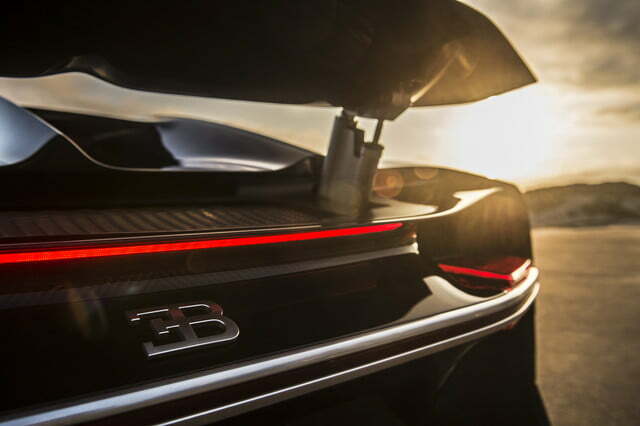 When we hit the gas, it felt like a massive, invisible hand loaded the Chiron into a sling, pulled back the tab, and fired 4,400 pounds into the horizon with such force that the cabin instantly drained of oxygen. Only after the F1-derived carbon composite brakes work their magic did we begin to react. We couldn’t help but erupt with joy. 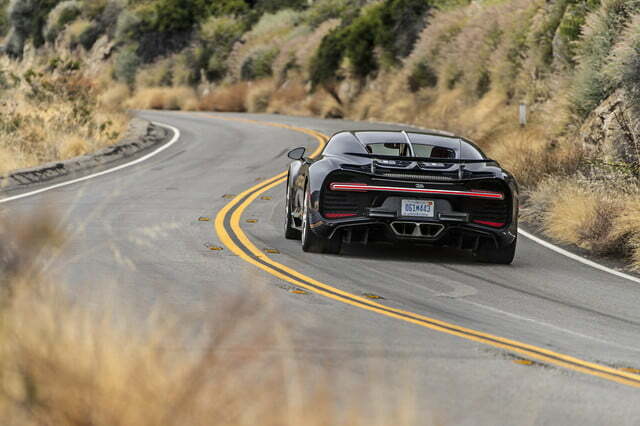 The Chiron’s acceleration rendered us helpless five times more before we turned into full-out giggling kids. Meanwhile, the goliath powertrain behind our heads did its best impression of a snake, hissing with wastegate pressure and whining from its gears. Satisfied with our, very professional, straight-line tests, we began to explore the driving dynamics. The electronic steering system is a function of seven ECUs — seven independent algorithms — working together for precise inputs and communicative feedback. 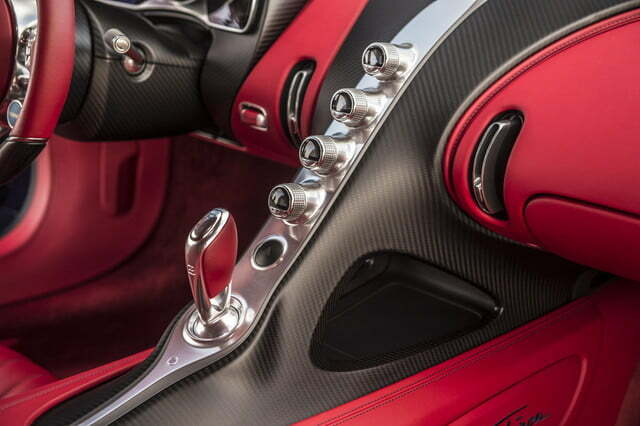 Sharp turn-ins precede flat, neutral cornering — rivaling any production sports car. The Chiron feels as composed mid-corner as it does in a direct line, demonstrating versatility that the Veyron could not. Neither the IIHS nor NHTSA rating agencies have scored the Chiron’s crash tests, though it is equipped with knee, side curtain, driver, and passenger airbags — along with new restraint systems. Perhaps the Chiron’s most advanced safety feature is its carbon fiber monocoque chassis, which is three times stiffer than normal steel. To put that into perspective, if you were to pivot the chassis one meter off-center and apply five tons of weight, it would only tilt a single degree. 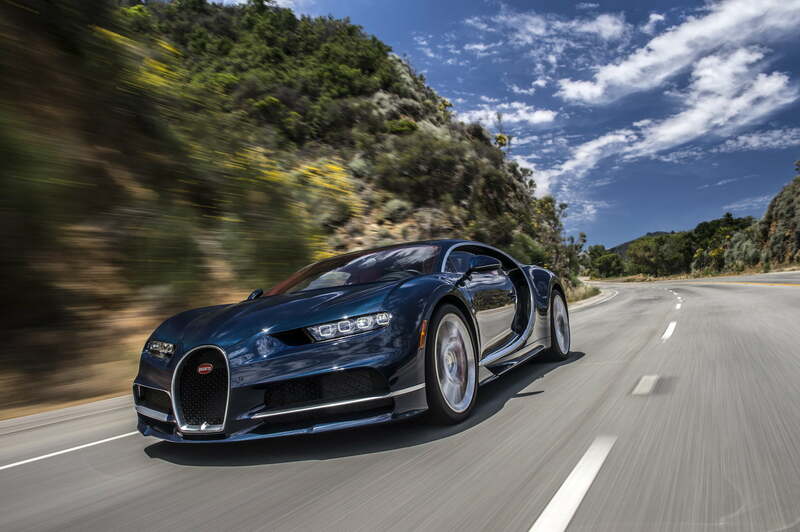 Is the Bugatti Chiron worth its monumental price tag? To answer that question, you must first imagine yourselves in a position where spending $3 million on a car is no stranger than buying a pair of high-end shoes. Sure, $20 Sketchers will cover your feet, but they can’t make you feel special. It’s possible to put a price on the Chiron’s performance, ride quality, or design, but the cohesive product is beyond valuation. 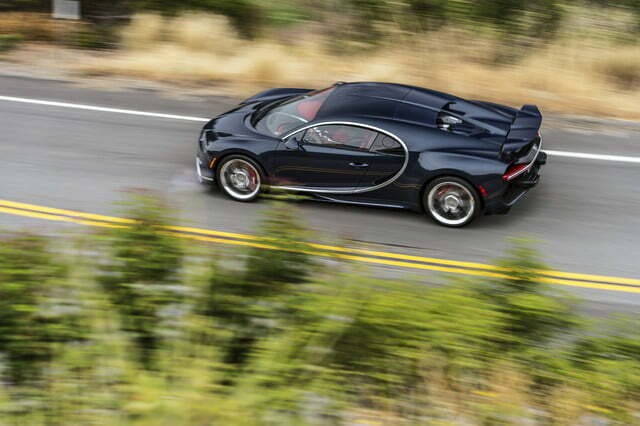 Bugatti isn’t peddling a car; it’s marketing automotive superiority.